Custom front panels, including high tolerance rigid layers, membrane circuitry, graphic overlays, and MetalPhoto® anodized aluminum. 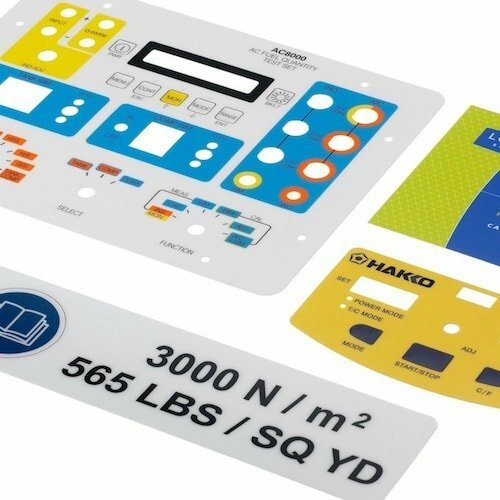 Our products range from custom front panels, rack panels, and rear panels to graphic overlays and membrane switch panels. Founded in 1965, Precision Graphics has evolved into a leading manufacturer of custom front panels, graphic overlays, membrane circuitry, and name plates, all in one facility. With our roots in the printed circuit board industry, we have grown into one of the most versatile and trusted panel manufacturers in the United States. We stay competitive by combining complete graphics and circuitry printing, with complete sheet metal fabrication and machining facilities. Our products are beautiful, durable, and economical at a lead-time unmatched by others because we avoid markups, delays, and inconsistencies that occur with external suppliers. This level of efficiency also means we eliminate minimum quantity requirements. Short runs are our specialty. Investments in the latest machinery enables us to confidently produce parts that are more complex than what most other manufacturers can offer. With over 20,000 square feet of diverse manufacturing space, we have the capacity to handle the most comprehensive orders. Contact our office with any questions or requests for free quotes of your next panel. We look forward to earning your trust! Precision Graphics can build your entire panel in one complete process. We can punch, machine, paint the substrate, and install hardware. We can design, print, and cut the circuits, and then integrate components. We can also print, and cut the graphic overlay, and then assemble the entire part. Providing this whole process internally helps ensure beautiful registration between all layers while reducing lead time and cost. Our extensive fabricating capabilities can be utilized individually to create labels, stickers, or banners. 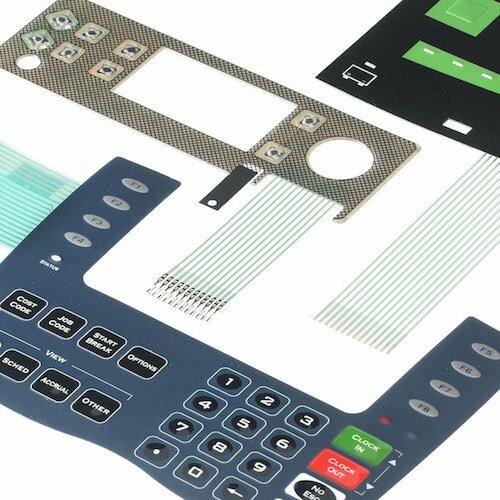 Combining capabilities allows for much more complex and useful parts that include membrane circuitry, rigid panels with multicolored graphic overlays, and PEM installations. Our business process allows for a highly customized treatment for your unique part. Let us know how we can help you solve your panel needs today! 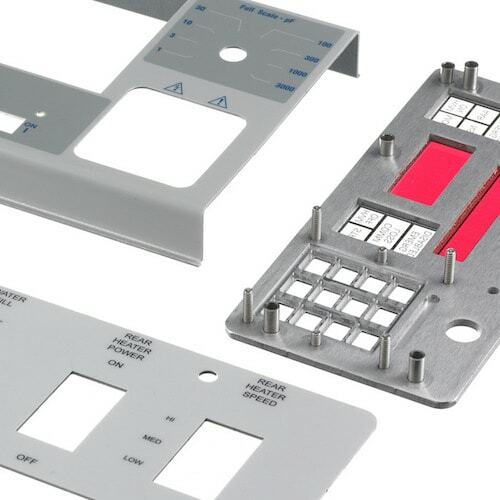 What sets Precision Graphics apart from other panel, membrane switch, and graphic overlay manufacturers is our in-house capabilities of fabrication, machining, punching and cutting for metals and plastics. Why is this significant? Because it affords Precision Graphics control over the entire manufacturing process for most custom front panels, enabling us to offer superior lead-times, quality, and pricing. Providing these capabilities internally also helps to ensure excellent registration between graphic layers, membranes, and sub-panels. 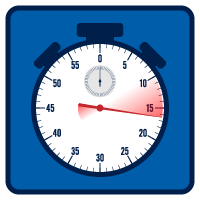 These capabilities also enable us to offer competitive pricing by avoiding mark-ups of external suppliers and to offer the quickest lead times for orders. 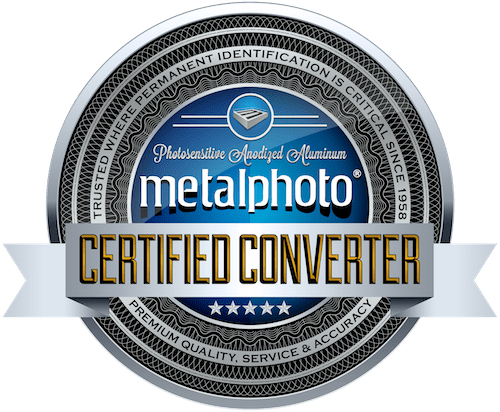 We are one of very few certified MetalPhoto® converters in the country. Our MetalPhoto® products are an incredible combination of durability, versatility, and beauty. 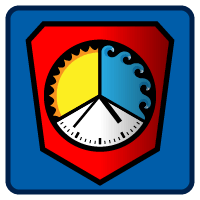 These are primary objectives for control panels and nameplates! If you need a part that does not require circuitry, we encourage you to look into our Metalphoto® process as an option. We explain much on our MetalPhoto® webpage but if you would like more information, feel free to check out MetalPhoto's own website here. Precision Graphics can build your entire front panel as a single complete process. We punch, machine, and paint the substrate, then insert hardware. We also design, print, and cut the circuits, then integrate its components. Furthermore, we print, and cut the graphic overlay, then assemble the entire part. Providing this whole process internally helps ensure beautiful registration between all layers while reducing lead time and cost. We take pride in our level of precision. It is in our name. The graphic designers color match with the latest vector software and our large format digital printers swiftly lay ink up to 1,200 DPI. The screen printers color match with the exact science of UV curable ink mixing formulas and produces features as small as .005” across. We machine within a tolerance of .005” and the painters color match with computer databased paint formulas that utilize a mix of 16 base colors. To bring it all together, the assembly department works closely with the others by its very nature, so the registration between all these beautiful layers remains accurate.